Across Europe we’re spoilt for choice when it comes to city breaks, but one of our favourite countries to visit remains the same – Holland. 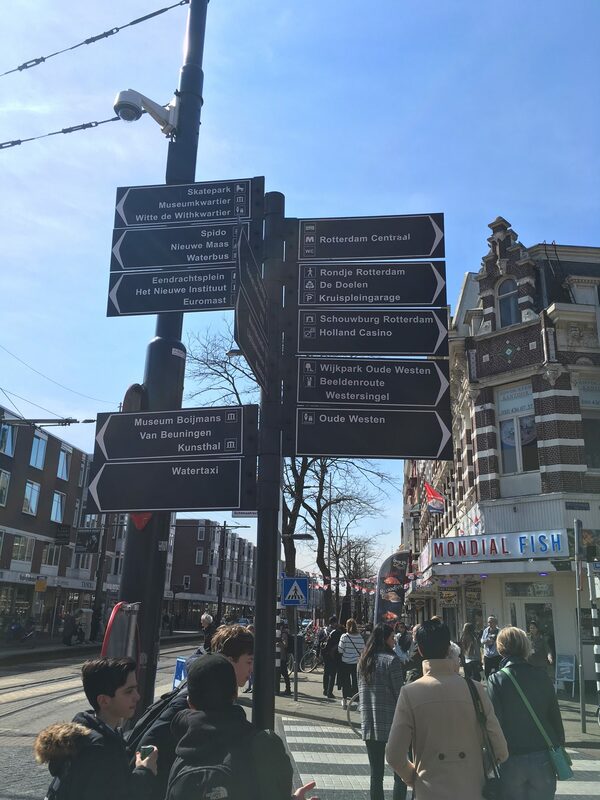 With so much more to offer than the bright lights of capital city, Amsterdam, we ventured over to the Netherlands to see what both Eindhoven and Rotterdam had to offer for visitors. So why are we such big fans of Holland? Apart from a super quick flight, at just 1 hour into Schipol Airport, the transport once there means it’s a wonderfully easy country to explore. Rotterdam lies just 30 minutes by train and Eindhoven just an hour. 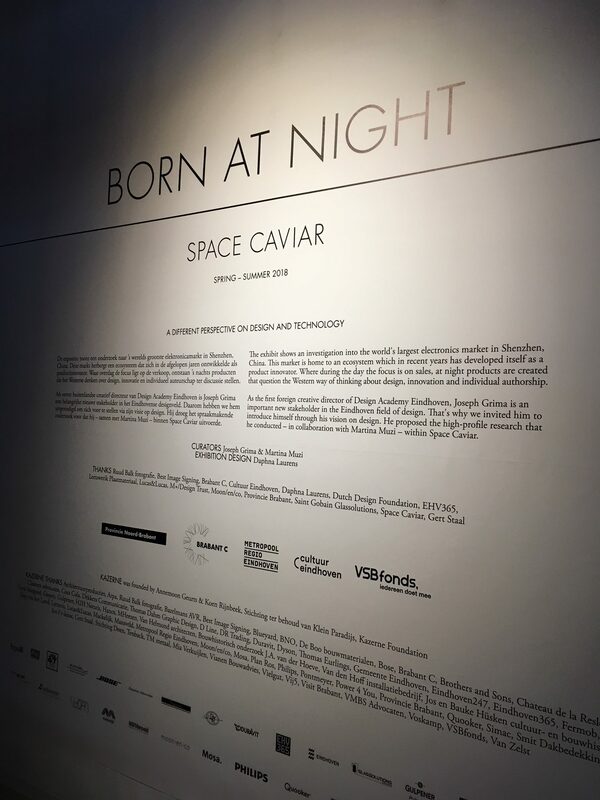 In addition, the Dutch offer a whole feast of foodie delights at every turn and when it comes to supporting their creatives and start ups they’re second to none. The last time I visited Eindhoven was over 10 years ago when my friend found some £1 flights available so a group of us piled over, discovered their strip of bars and not much else besides. Boy, how it’s changed in the last decade. As the home of technology giant, Phillips, the city shouts loud and proud about their achievements as well as supporting new businesses coming through. As a fantastic shopping hub you can easily spend the day browsing the huge range of shops from technology, to book shops, independent designers, homeware and gifts. Of course, no trip is complete without visiting Sissy Boy, who stock a wide range of clothing and homeware designs. Looking for gifts? 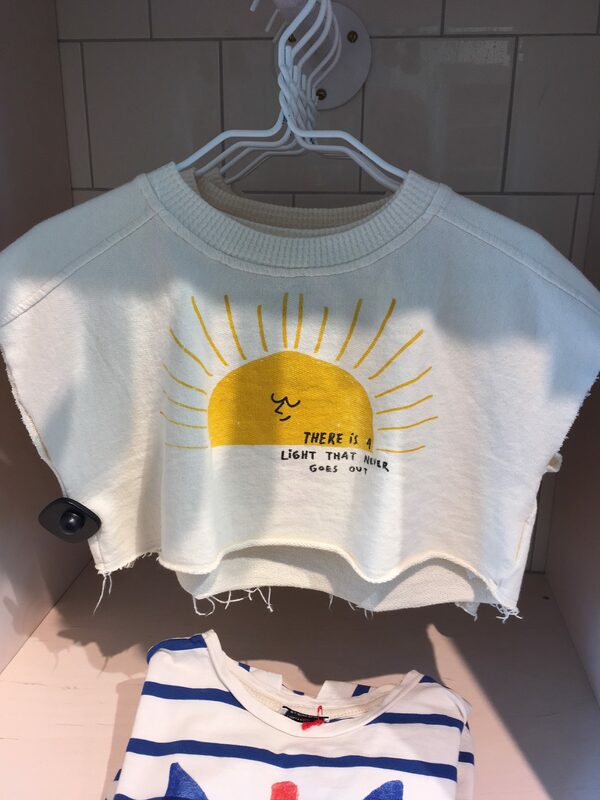 We couldn’t resist this Smiths inspired kids top from Bobo Choses. 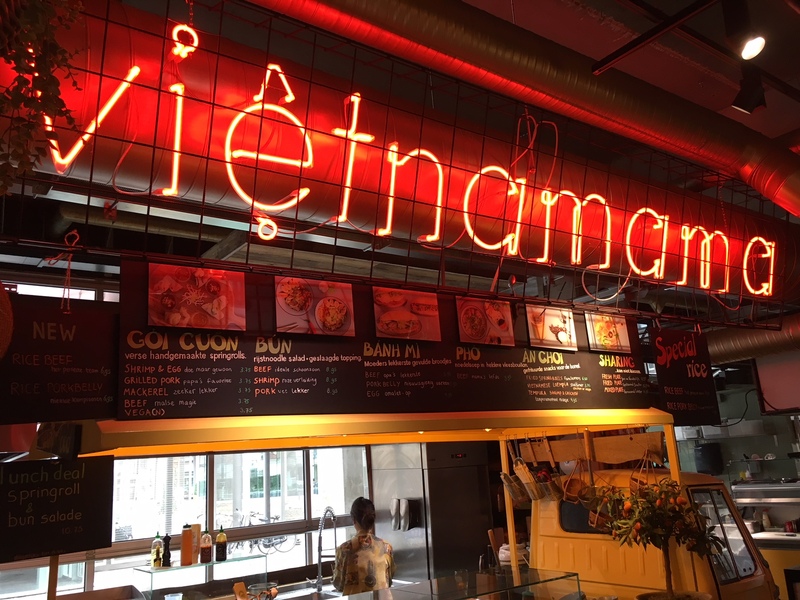 Regular followers of Cool As Leicester will be aware of our affinity for street food and involvement with the launch of Canteen in Leicester, so I was delighted to visit Eindhoven’s own street food heaven, Down Town Gourmet Market. Set up jointly by a group of businesses, the space occupies a large factory building and gives numerous street food traders a permanent trading base. Open daily for lunch and dinner there’s a fantastic buzz about the place as friends and colleagues sit together each enjoying different cuisines from dim sum to meatballs or pizza. It could only give me hope of how I hope to see the street food scene in Leicester continue to rise. Of course for nostalgia’s sake I wondered if the bars we’d frequented a decade earlier were still there, and they were. Packed out with students there’s a youthful buzz to the city. With the main party area contained in one space, the city contains numerous other hidden gems of bars and cafes dotted around. One such gem of a venue was the wonderful art gallery and restaurant that we visited for dinner, Kazerne. Visiting on the launch night of their latest art installation, Kazerne was packed with the who’s who of Eindhoven. A fantastic atmosphere filled the space, which also contains a restaurant, bar and soon to open hotel. The food at the restaurant comes highly recommended. 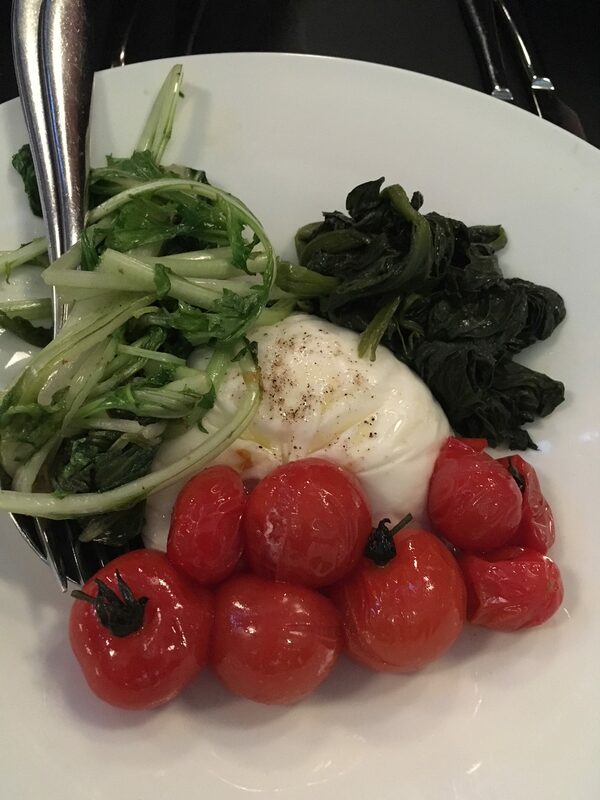 The burrata being the freshest I’ve ever tasted, oozing over fresh tomato, served alongside beef tartare. 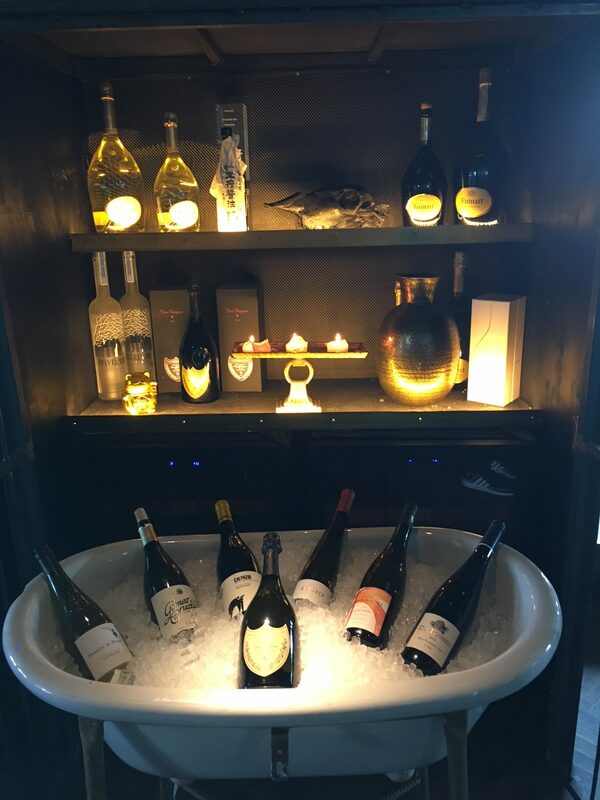 It’s an exciting time for Kazerne as they progress plans to open their hotel on site, in which they plan to offer a fridge of their freshest ingredients from the restaurant for their guests. When can we book?! Also striking about Eindhoven, and across Holland, is their commitment to supporting new businesses. Throughout the city centre there are large red block arrows placed in the street, which we discovered are placed outside all new independent shops, cafes, bars and restaurants during their first 2 months of trading to alert the public to their presence. Such a fantastically simple but effective approach left me wondering how many of Leicester’s new ventures could have benefitted from such a council scheme? 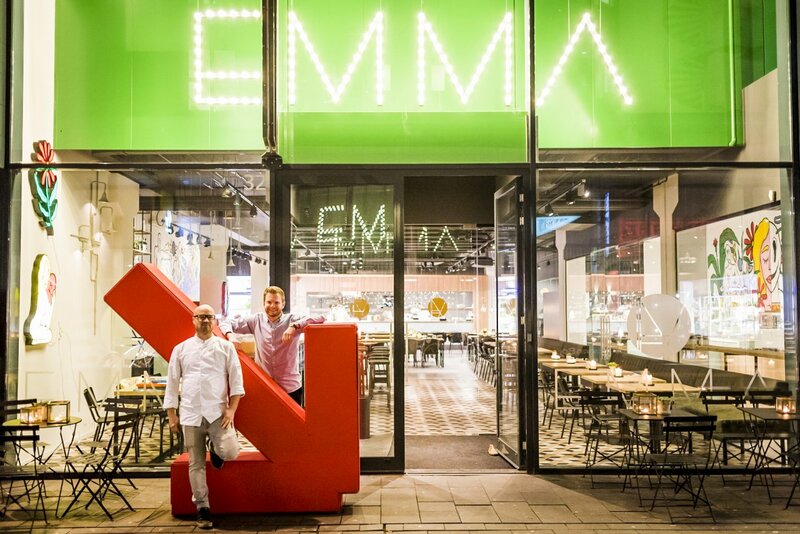 The large red arrow signposting customers to new dessert parlour, Emma. 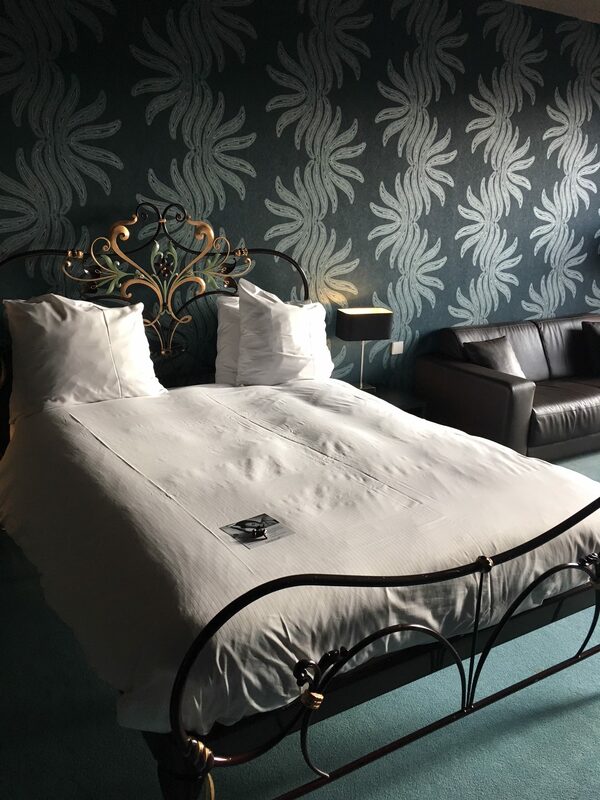 Where to stay: Innhotels Art Eindhoven sees the monumental Phillips factory transformed into an Art hotel within walking distance of the station, PSV Eindhoven’s stadium and the city’s shopping and foodie district. Fabulously large rooms make for a comfortable stay with an extensive breakfast to suit all tastes. From the industrial and technologically focused Eindhoven we travelled over to Rotterdam. Growing up listening to The Beautiful South the city had always been on my must visit list and it didn’t disappoint. The most striking thing about Rotterdam, as with other parts of Holland, is their wealth of and support for creative businesses. So much talent in one city and it’s just fabulous how much they shout about it and support it. 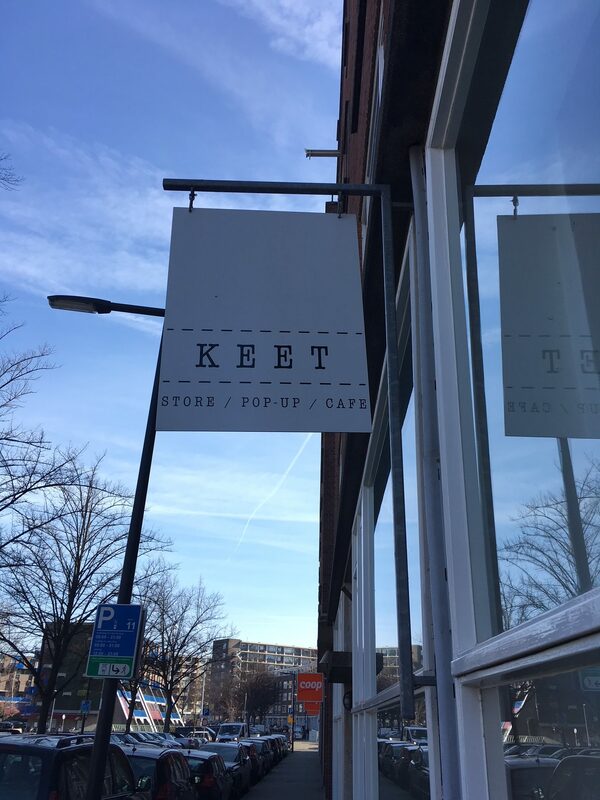 Our first stop was Keet, a coffee shop and creative hub, which is a joint venture to allow numerous designers and creatives to both showcase and sell their products under one roof and without the overheads of their own shop, which can so often be prohibitive. Thinking back to Leicester and how many incredible designers there are who don’t have the means to open their own shop and instead rely on online trade and pop-up markets. This is just the kind of venue that the city is crying out for. The products in store ranged from beautiful gifts to quirky homeware and they sit alongside a lovely coffee shop, which incidentally did the best cheesecake I’ve ever tasted, so it’s easy to see why this place is such a hit with the locals. 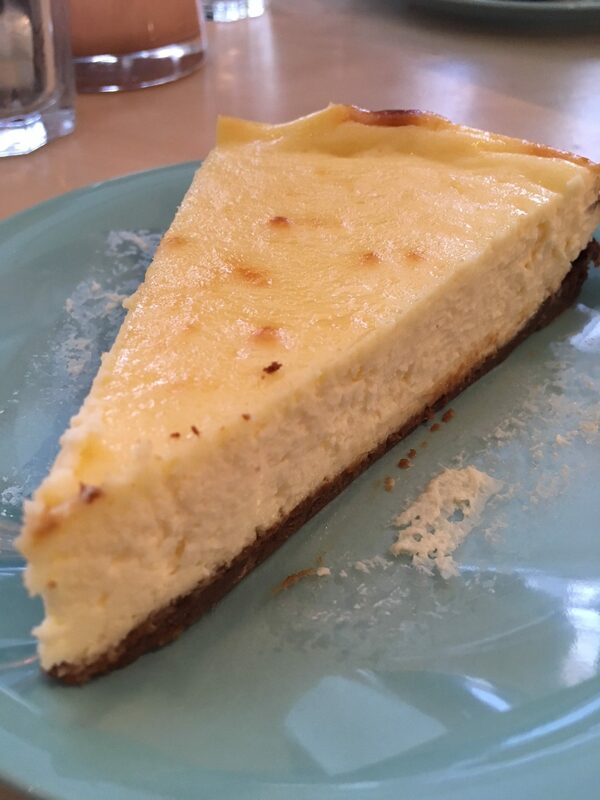 Holland’s finest cheesecake? I think it might be! Now, the shopping in Rotterdam is fantastic but one stand out shop is certainly Granny’s Finest. 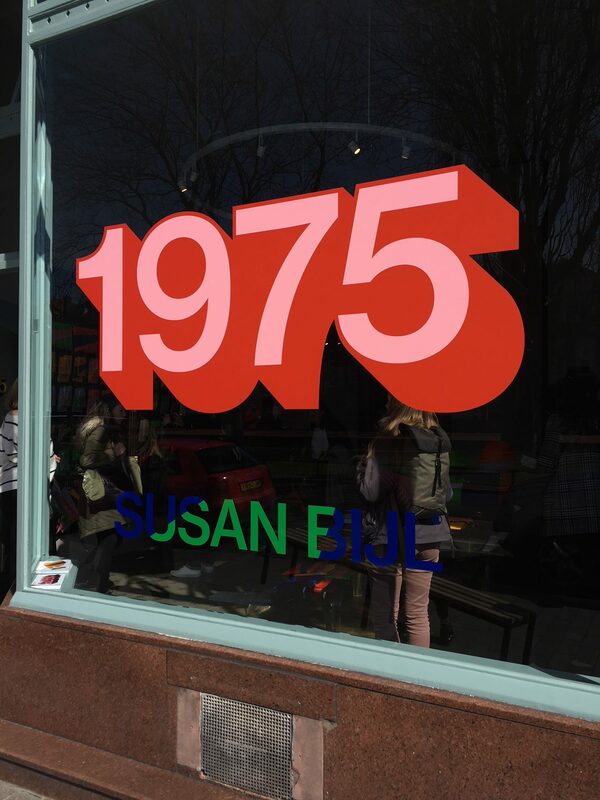 Bear with me, I know it might not sound like the hippest joint in town, but the story behind this store is remarkable. Chatting so passionately about his business, the owner, Niek, described how when visiting his grandparents in a care home he met an elderly person who was knitting but said that they had nobody to knit for. 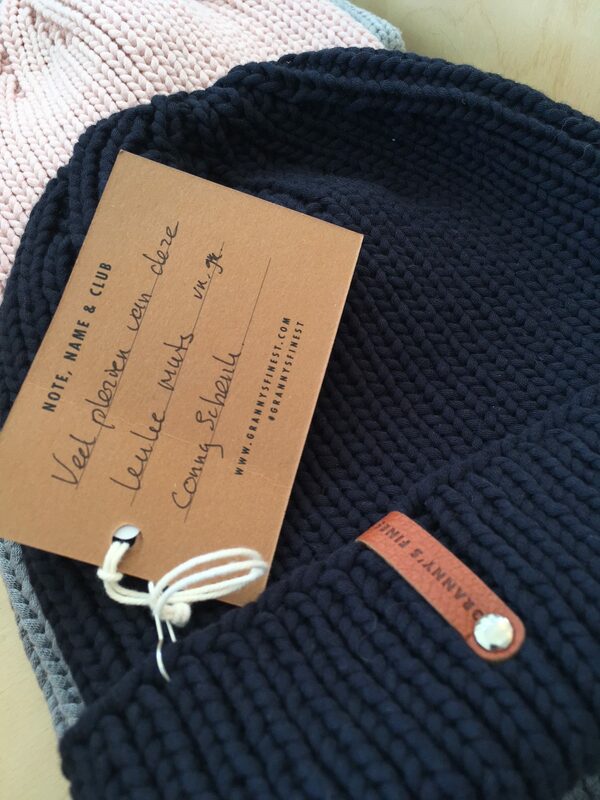 Pulling on his heartstrings, Niek set to work in building Granny’s Finest, who now sell top quality woollen products that are hand knitted by “grannies”, who get to work in creating the products designed by the company’s top design team. The company provides a fantastic social opportunity for the grannies and they even put a label on each product to tell the buyer who made their product. But the most important thing – the products are all absolutely fantastic, top quality, and a variety of wonderful designs. The perfect winter wardrobe accessory. Made with such love! With so many wonderful designers calling Rotterdam home, from VICO footwear to the quirky bags from Susan Bijl that you’ll spot on cyclists across the city, you can easily grab yourself some unique goodies to take back home! Here they really scream about their independents, that’s where the focus is. They’re not hidden away, or in a single creative quarter, the city is alive with their creative talent and it brings such a buzz along with it. So what about the food & drink? 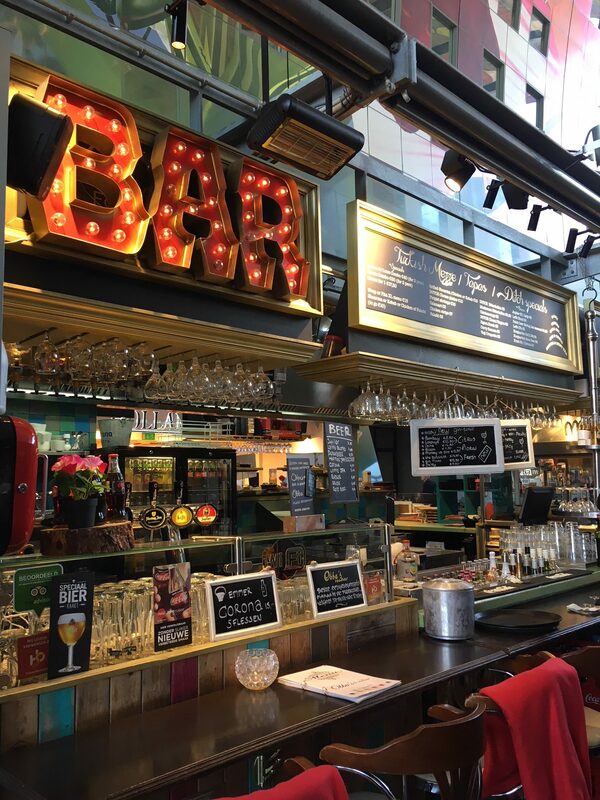 Our 2 top tips come in the form of the Rotterdam Market Hall, because you know how much we love street food, and The Suicide Club! The Market Hall is an indoor trove of foodie treats from the fresh pasta bar to meatballs, you’ll be spoilt for choice. Housed in a striking building like a large airport hangar, it’s based in the fantastic architectural Blaak area looking over the Cube houses. 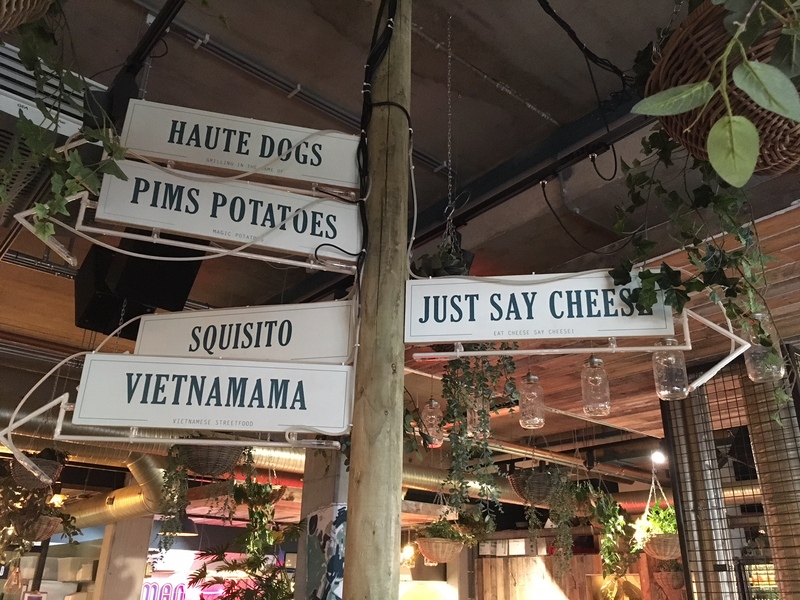 As with Eindhoven’s Gourmet Food Hall they’re embracing foodie start-ups, offering them permanent trading space, and the locals flock to it. And for after work/after shopping drinks? 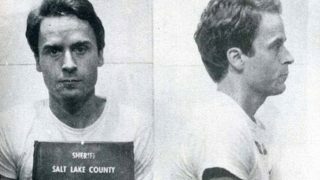 Do not miss out on a visit the The Suicide Club, if you can find it that is. Hidden away near to the train station, this is a fantastic speakeasy bar and we guarantee you won’t regret taking a little time out to discover its location. 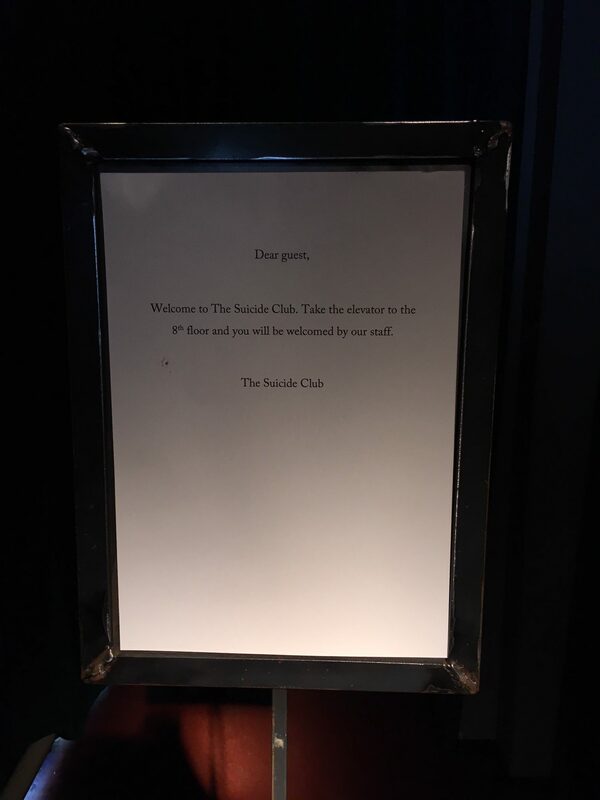 Take the hidden service elevator to the 8th floor and step into the heart of The Suicide Club (well, you’ll actually step into their kitchen first of all, but that’s part of the fun!). For tasty afternoon cocktails or a late night drink, this is one of Rotterdam’s hottest places. 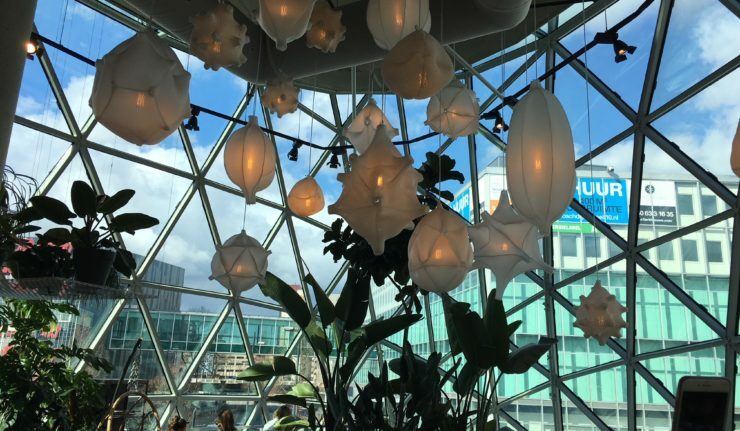 With a roof terrace overlooking the city the eclectic vibe of the club perfectly complements the atmosphere of Rotterdam. 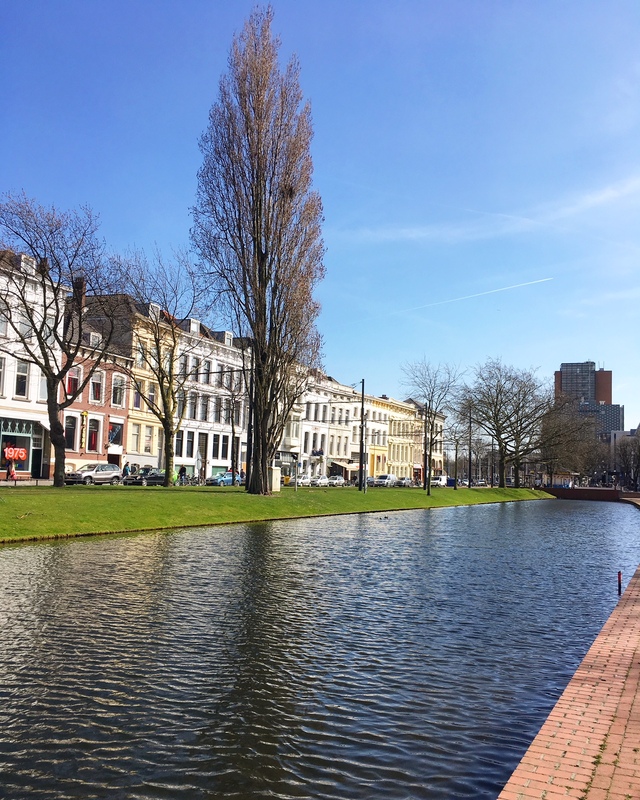 As The Beautiful South said, “this could be Rotterdam or anywhere…”, but that’s not strictly true. With a unique vibe, fantastically creative talent pool, foodie delights and a beautifully scenic centre, this certainly couldn’t be anyway, it could only be Rotterdam. 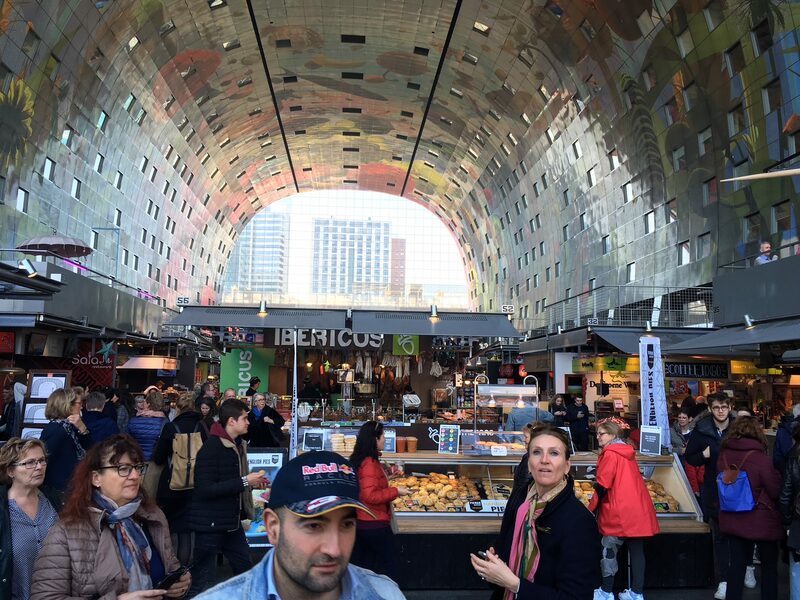 Eindhoven and Rotterdam are both easily accessible via train from Amsterdam. FlyBe operate daily flights to Amsterdam from nearby Birmingham Airport with prices from £35 each way. With thanks to Visit Holland who invited us along on the press trip. 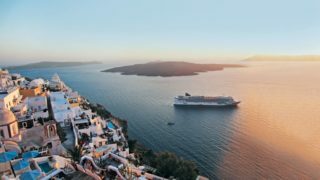 Flights and accommodation were provided free of charge under no obligation to give a positive review. All opinions are our own.